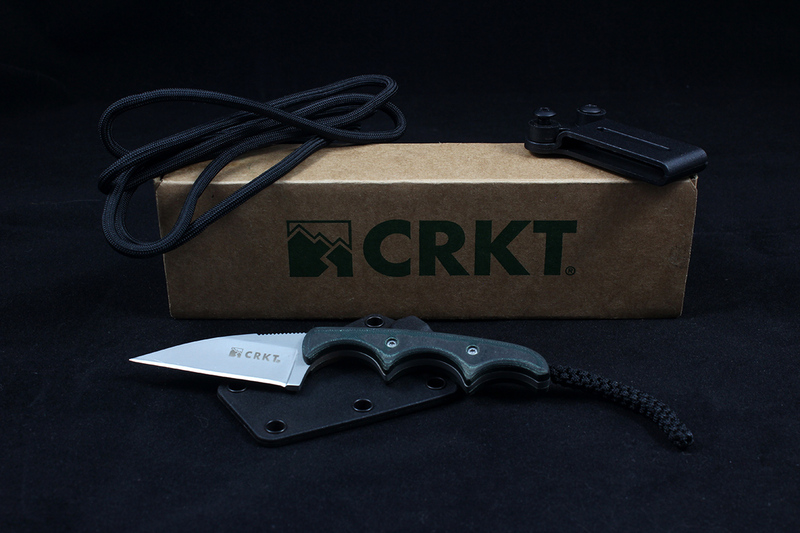 After a short search for a small, very light knife to take backpacking, I landed on the CRKT Minimalist series and decided to give one a try. 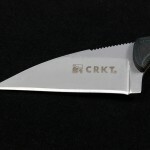 The CRKT Folts Minimalist Wharncliffe (MSRP $39.99) is a small fixed-blade knife of Alan Folts’ design, seemingly intended for easy everyday carry (EDC), and at a weight of 1.44 oz, it sure looked promising. 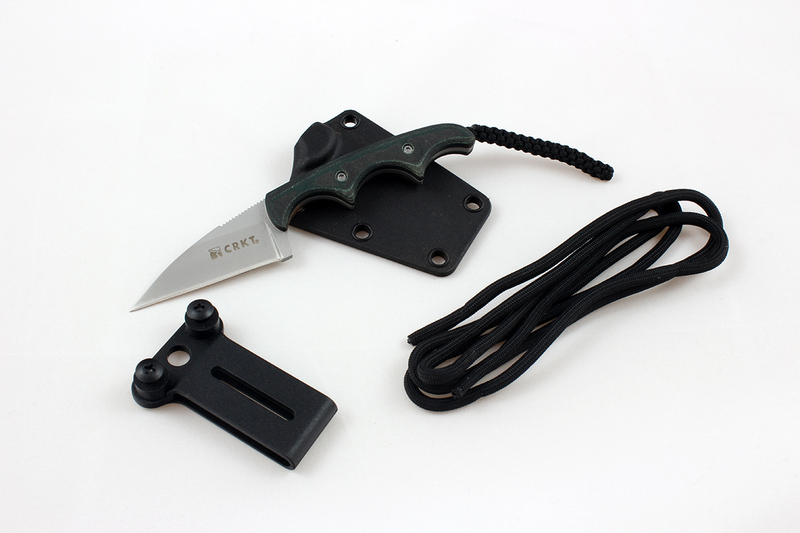 Included in the box were three items along with blade itself – a glass-filled nylon sheath, a piece of nylon cord, and a belt loop. A small nylon lanyard came pre-attached to the end of the tang. 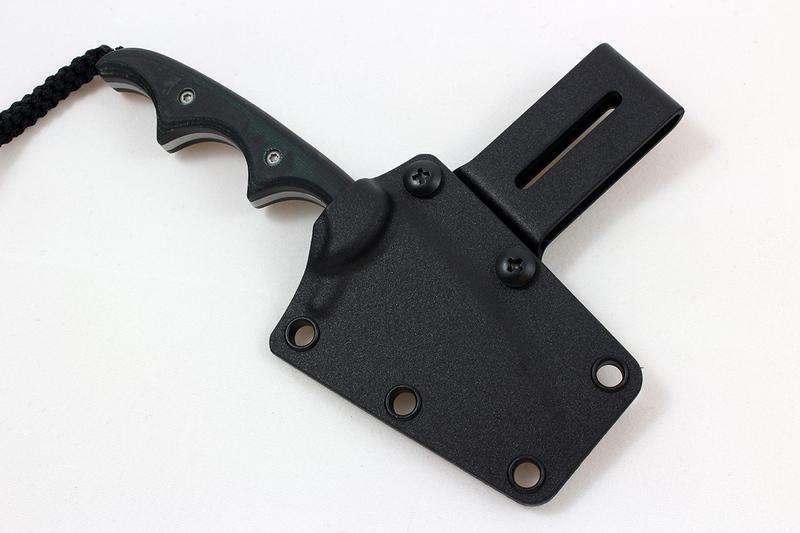 I was looking for a small, inexpensive, lightweight knife for backpacking carry and camp use. 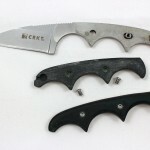 After a brief search, I found several “Minimalist” knives manufactured by CRKT which met my criteria. 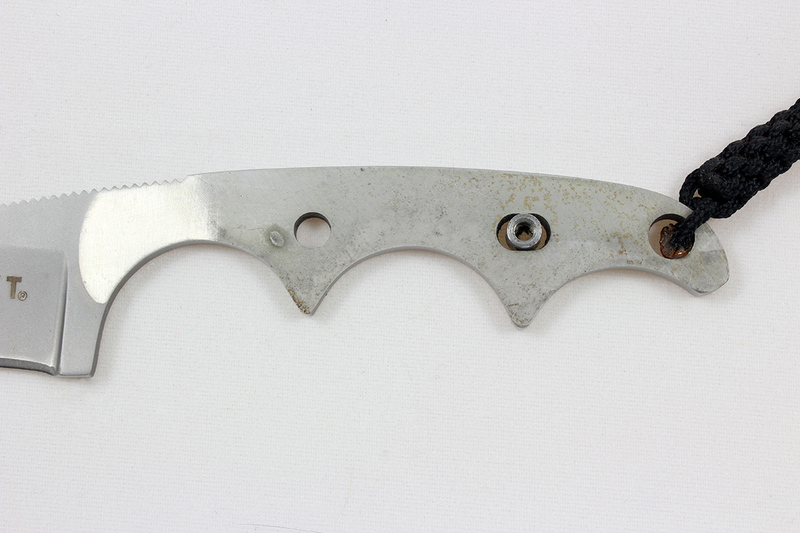 Of these, the Wharncliffe was lightest and seemed best suited for typical camping use because of the single edge and usable point. At a price of about $20, I figured it was worth a shot. 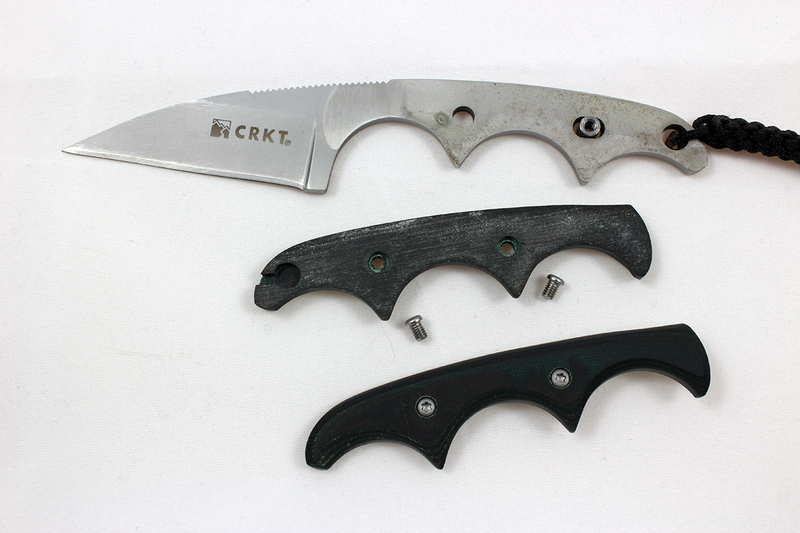 My intent was to provide a functional, rather than exhaustive, evaluation of the CRKT Minimalist Wharncliffe with regards to my intended use. 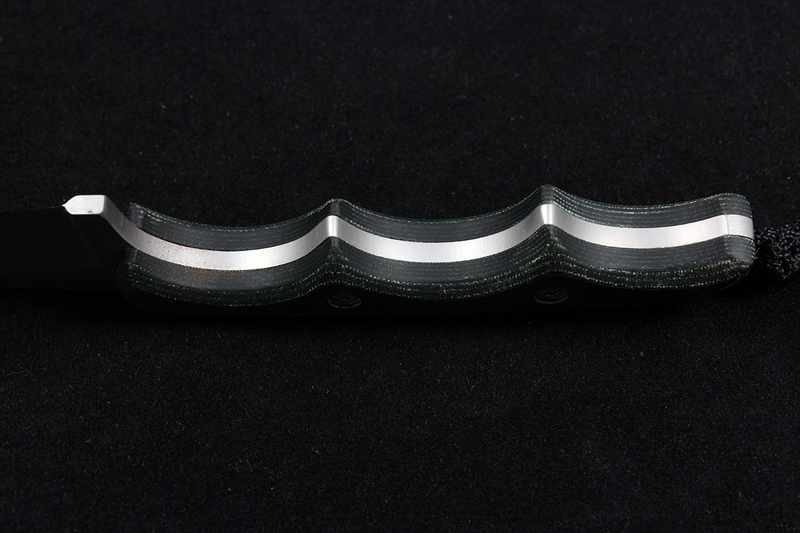 From the name alone, two things are apparent: The blade uses a Wharncliffe profile, identifiable by the single straight edge and gradually curved spine, and the designer is Alan Folts. 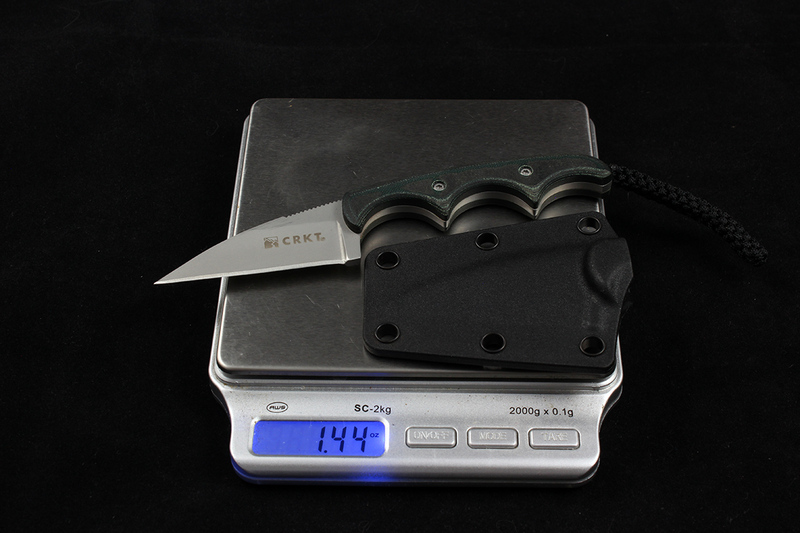 Per CRKT’s product page, the blade is made from 5Cr15MoV steel heat treated to 55-57 HRC. 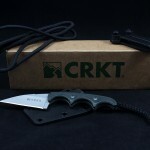 First order of business was to verify what I could from CRKT’s specs. 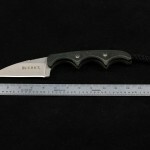 Knife dimensions, including thickness and blade length, were measured using digital calipers with precision to 0.0005”. 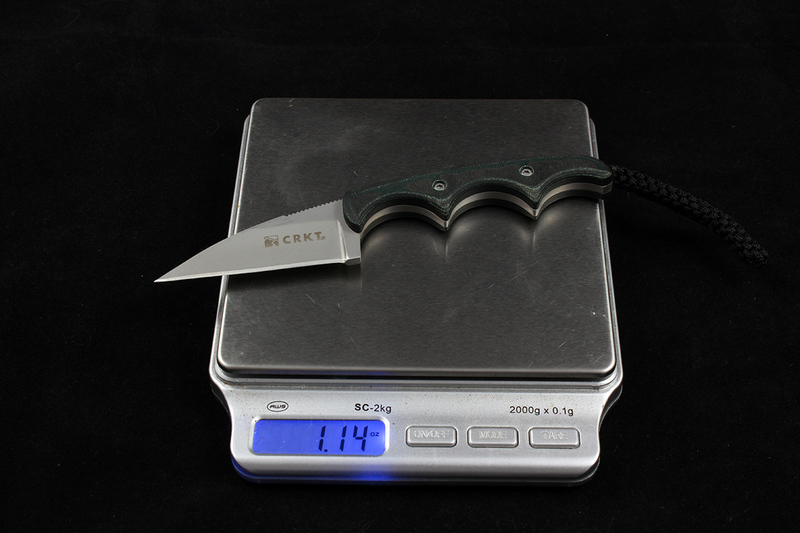 The knife was weighed using the digital balance visible in the following images. Rockwell “C” scale hardness (HRC) was checked with a calibrated Wilson Rockwell hardness tester. 1.14 oz for the knife and lanyard. Add 0.30 oz for the sheath. Dimensions and weights all lined up with the manufacturer specifications except for the blade hardness, which came in a couple points high. I don’t encounter blade steels in my particular line of work as a metallurgist (aerospace), but my experience has been that a slight hardness increase rarely indicates a significant detriment to the alloy’s toughness. Unfortunately, I was not able to find any published information in journals or my reference books to verify this for 5Cr15MoV. Thus, no worries here. The Minimalist Wharncliffe’s handle is comprised of two pieces of resin impregnated fiber which sandwich the knife’s full tang. 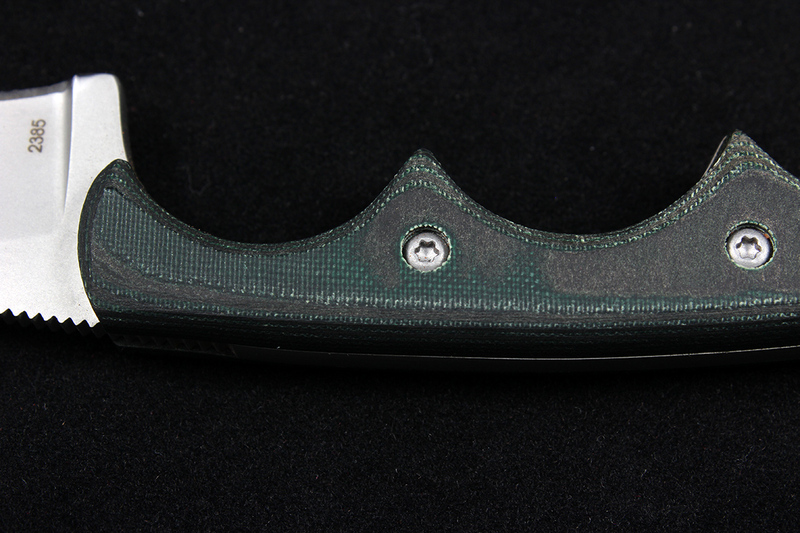 Each side of the grip appears to be made from seven layers of green fiber bonded with an opaque black resin, bringing the total handle thickness to approximately 0.414”, meaning each side of the grip is about 0.156” thick. 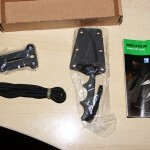 Grips are attached to the tang with four T6 Torx screws – two per side. 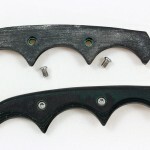 All screws are threaded into bushings inserted in the tang, and were easy enough to remove. 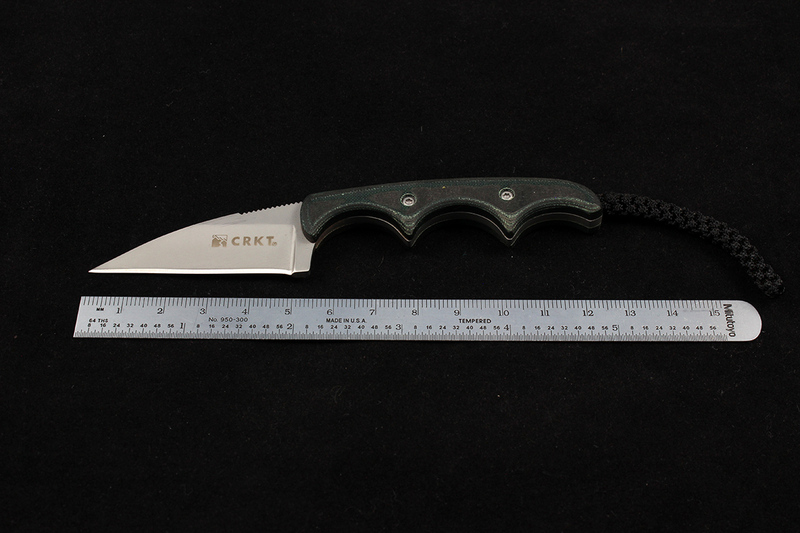 A pre-attached lanyard supplied with the knife is tied through two slots in the grips near the end of the tang, each measuring approximately 0.100” wide by 0.060” tall. 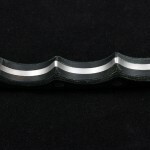 The handle is comfortable overall and allows for a secure grip courtesy of three generous finger grooves. The grooves are roughly a third of an inch deep and have a radius approximately equal to that of a US quarter (~0.475”). 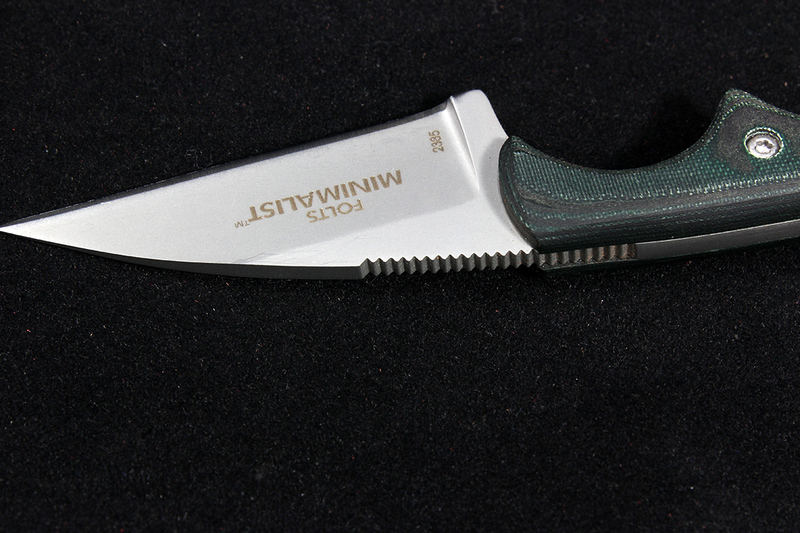 Serrations on the blade spine near the front end of the handle are rough, but not uncomfortable, and easily keep the thumb from sliding to further help with blade control. 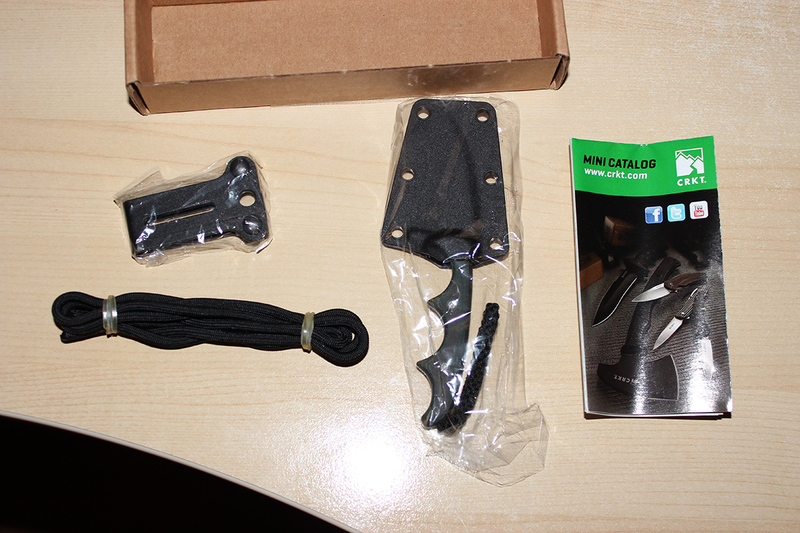 My only complaint is that the serrations between the grips/handles are too recessed to be usable. 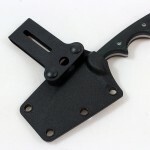 For carry, the supplied sheath works well and allows for fairly easy removal. Retention is provided primarily by tension and a molded form shaped to match the front of the handle. 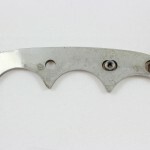 Some refinement could be made here since friction on the blade is occasionally noticeable when inserting and removing the knife. 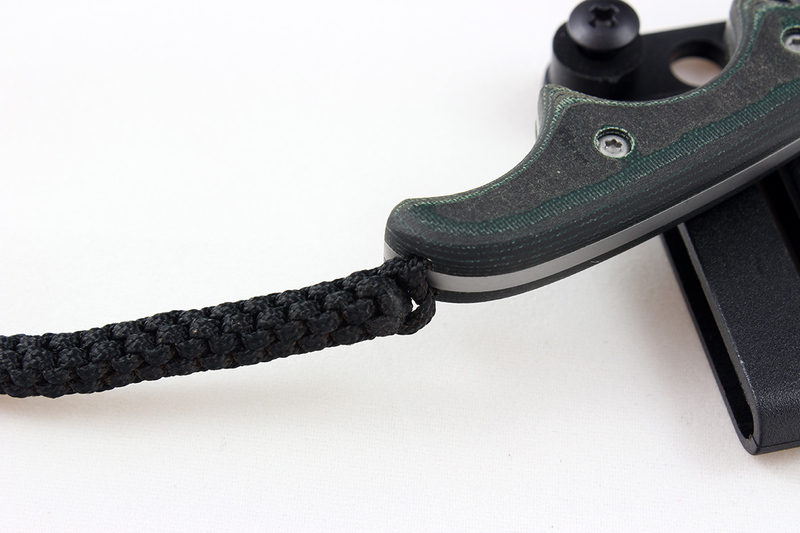 The supplied nylon cord can be threaded through the sheath to carry as a neck knife, or the provided belt loop can be attached to any two adjacent holes in the knife for a few different belt carry options. 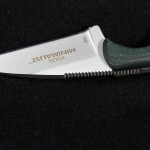 Out of the box, the blade was sharp and able to handle common camp tasks like opening mylar food packs and cut paper without unintended bunching or tearing. 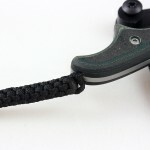 Clean cuts through 550 (5/32” diameter) paracord were made quickly and easily. Belt loop carry option (rear). 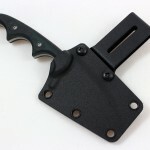 Belt loop carry option (front). 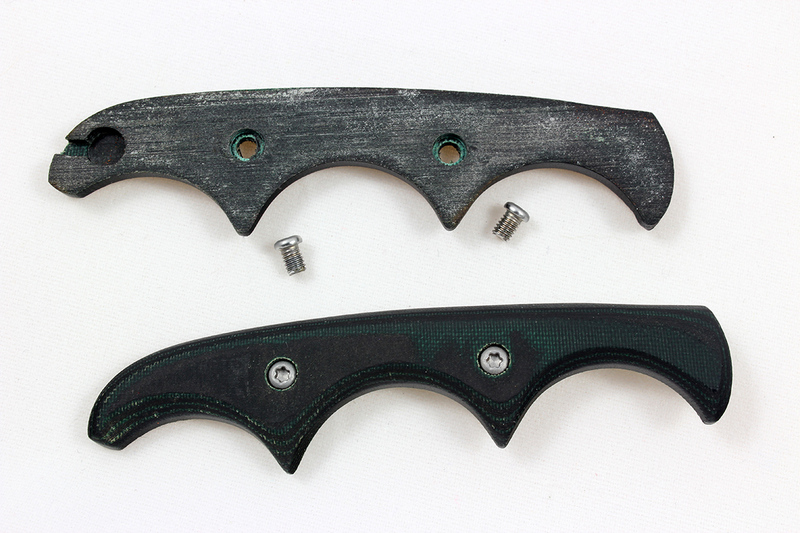 Handles removed from the knife. 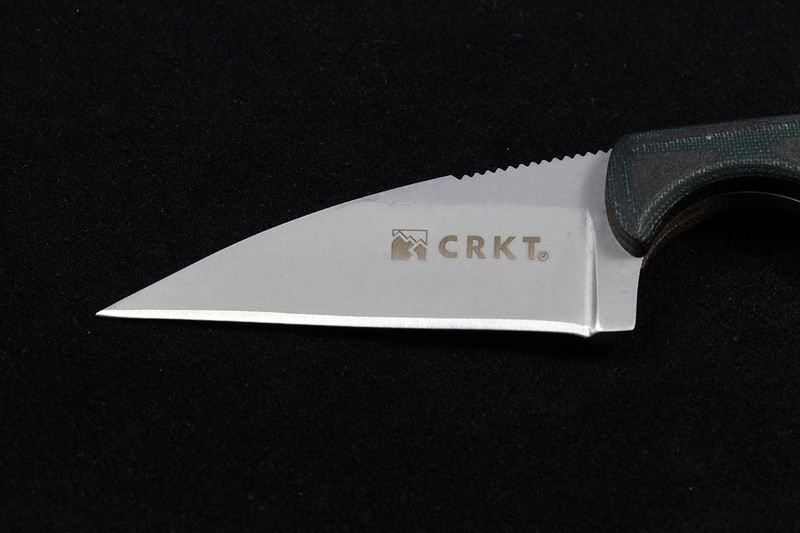 Overall, I like the CRKT Folts Minimalist Wharncliffe and would recommend it as a lightweight serviceable knife for hiking and backpacking. 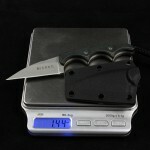 At a weight of 1.44 oz for the knife and sheath, this knife is certainly suitable for the ultralight hiker. Despite the MSRP of $39.99, it is readily available at prices closer to $20, and for that, I say this knife is an excellent deal. However, I did note two minor issues. But, for $20, I don’t mind ignoring these or expending effort to address them myself. Spine serrations in the handle area were recessed, making a small length of the serations (~0.4”) unusable. This could be resolved with an adjustment to how the handle is shaped, and could probably be addressed fairly easily with a rotary tool by the end user if desired. There is some friction with the blade in the sheath. 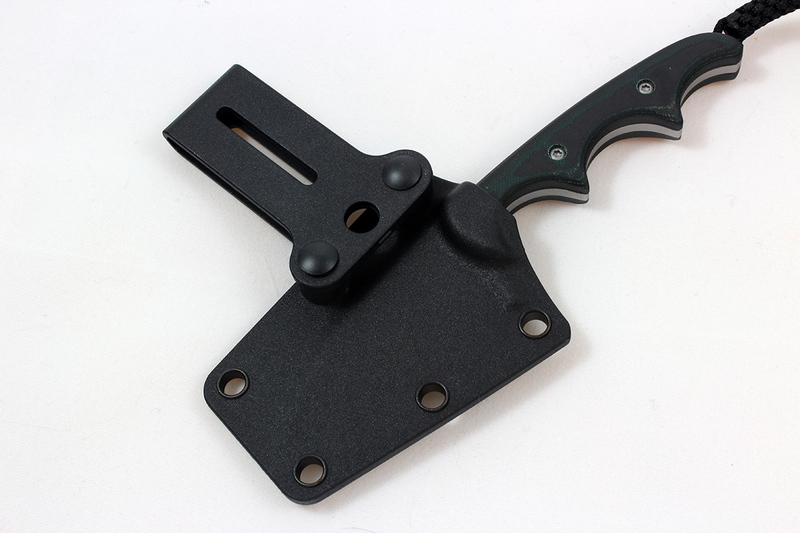 Not a problem per se, but the sheath and blade pick up some grit while hiking. 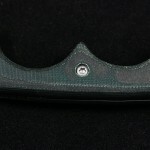 The result is an obvious gritty feel upon insertion/withdrawal and marks on the blade. Loosening this part of the sheath may not be practical, so it is advisable to regularly clean out the sheath to prevent unnecessary wear. 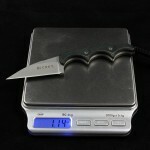 As an observation, CRKT lists the blade hardness as 55-57 HRC, but my check gave a reading of 59 HRC. I do not expect the slightly high hardness to adversely affect the blade in service, but it makes me curious about the production requirements and quality control of the heat treatment process. I did not observe a hardness indentation anywhere on the knife, so I would guess that a hardness sampling method is used – this is common practice with many high-rate/quantity production processes. Also note that with tolerance stackups in the hardness testing process, even hardness testing performed in accordance with ASTM E18 or equivalent specification using a properly calibrated tester can result in acceptable variations of approximately ± 1.0 HRC.